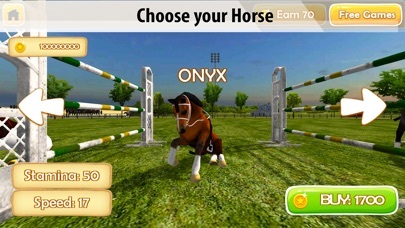 Take part in equestrian competition as a jockey on a trusty pony! Equestrian sport welcomes you and your horse. Horse racing has never been so exciting as in our simulator. Become a jockey on a trusty pony, ride for glory. An equestrian competition will define the best jockey of all. Ride, Jockey, from the stable - Horse Racing begins! 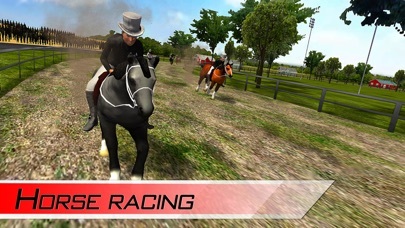 Ride with other jockeys and beat them - our equestrian racing simulator is realistic and challenging. So train your pony well for competition. Ride solo and earn upgrade points, or buy a better pony. 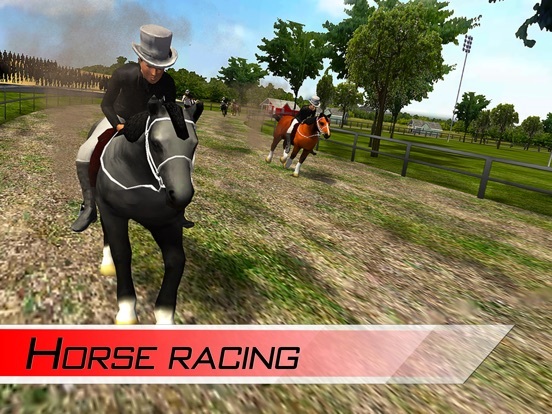 Equestrian competition will test your jockey skills as you ride a pony. Simulator offers both challenge and prize. 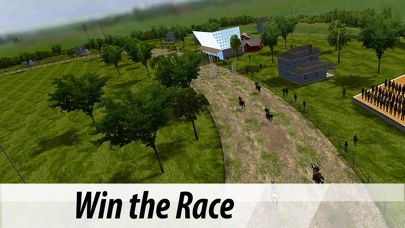 Victory begins in stable, even in equestrian simulator. Good jockey trains a pony for racing. Equestrian stadium is yours for training ride. 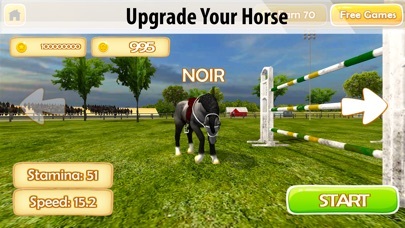 Spend upgrade points in stables, to upgrade your horse then. And back into competition! 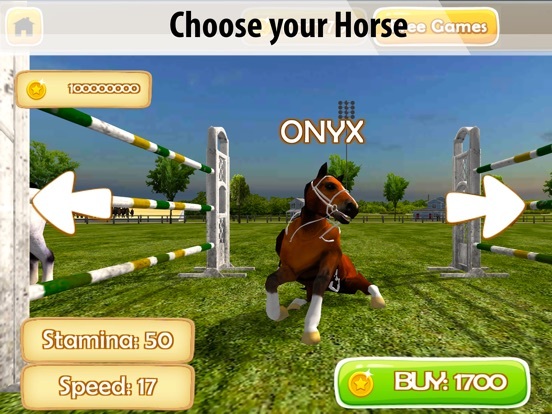 Ride as true jockey, ride the best pony, ride to victory in Horse Racing simulator. Ride your horse every day! Daily bonuses and lottery will help in your equestrian racing. Horse Racing offers money and training, equestrian racing demands both. Spend it and ride out of stable to competition. Both jockey and horse must be ready for racing, simulator’s bonuses will help. Horse Racing encourages cleverness. 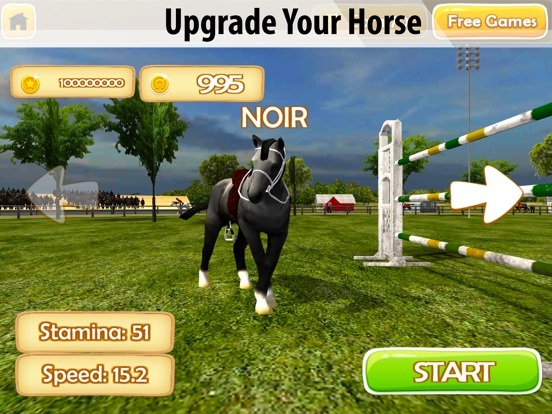 Prove that you are the next equestrian champion! 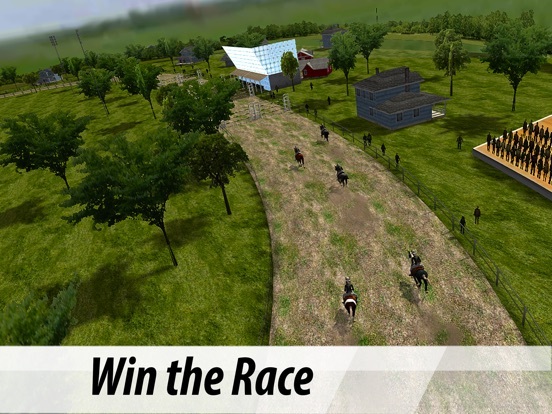 Be a jockey, ride a pony, win a competition in our new racing simulator game - Horse Racing!